Discourse & Debate: Is campus activism too fickle for its own good? There is a spider in the urinal. Every day, when Thomas Nagel relieves himself, some of his waste splashes onto the spider. The spider remains there the next day. And the day after. And every day he is splashed with Nagel’s waste. So Nagel, being the ethically minded philosophy professor that he is, takes the spider from the urinal and places him on the floor. Ah yes, he thinks, I have done the right thing. The next day, the spider is on its back, legs curled in the air, resting atop the cold linoleum. There is uncertainty in any action done for the sake of morality: You can never really be sure if the consequences are going to benefit someone as much as you expect them to. We call this moral luck; but can’t some choices be more lucky than others? For instance, maybe Nagel could have just used a different urinal. It seems that it was his “concern for the right action” and not his “concern for the other” that compelled him to act, and he thus acted erroneously. We can’t know the outcomes of our actions. But we can guess. Protest and activism are defined by this type of ambiguity. My view is that, by definition, protest implies action undertaken that does not necessarily have to affect the system in question. Protesting is defined by the fact that the oppressor might not have to listen to you. This is why our political concerns on campus shift so easily. If all we do is talk about an issue, we quickly lose interest and move on to a new, more exciting cause. We ought to supplement our activism with service, where you can actually make everyday, tangible impacts in the quality of another person’s life. It is all well and good to consider the long-term implications of policies (as we should), but we need to ensure that someone is trying to solve these immoral consequences in the meantime. Thus, activism must be matched by volunteerism. Lending your voice to a cause is not enough. It’s true that we should speak out against injustice, that we ought to defend the voice of the unheard and underprivileged. But it seems to me that plenty of students at Columbia see being socially conscious as a choice between activism and volunteerism (and when making that choice, most Columbians choose activism). But we shouldn’t be treating this as an absolute choice. Every sentiment expressed at a rally should be backed up by a proportional amount of time spent volunteering. It’s one thing to call for change—it’s another thing entirely to exemplify that change. We still need voices, and lots of them. But it seems that lots of Columbians attempt to add their voices to causes that already have plenty of defenders. And what’s more, those students who have personal experience with the type of oppression being discussed are the ones whose voices should be most privileged. We can affirm their experiences in our words, sure, but a good ally is one who acts in support of a necessary cause, in addition to lending their voice to it. Our political identities do not make us good people. Our current political climate validates lots of activists, who find comfort in that thought that, “Well, at least I don’t believe in…” It’s very easy to compare the things you say to what a white supremacist says, and come out feeling morally superior. But espousing certain viewpoints does not make you better than anyone else. Validation can only come from acting in accordance with the moral principles you argue for. 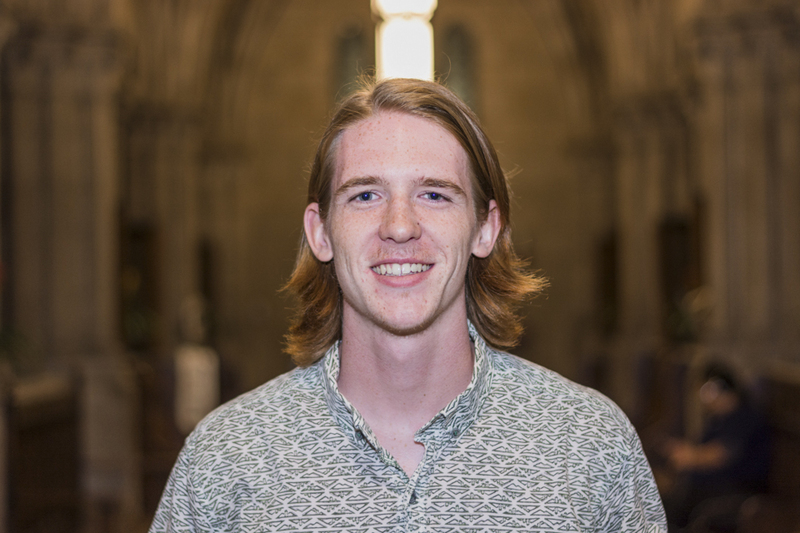 Dan Driscoll is a Columbia College sophomore studying philosophy and English. His interests include professional baseball, Kurt Vonnegut, and the use of the semicolon. Message him on Facebook if you’re interested in volunteering with Project for the Homeless. Every semester or every year, the tide of campus activism seems to shift away from one cause and toward another. Is this a natural way for activism on campuses to evolve? Does this undermine the efforts of past Columbians? Most importantly, is there a better way for activists to make lasting differences on campus? Like anyone else who joined in the fall of 2014, sexual assault weighed heavy on my mind and was the topic of many of my discussions. Emma Sulkowicz could be spotted across campus with her mattress and—in order to show us that they were responding to the issue—the administration jumped through hoops to detail its new Sexual Violence Response measures. However, for many of us, the way the administration skirted discussing the events that had already been covered in the press was frankly ridiculous and insulting to the intelligence of the student body. So when No Red Tape emerged, it was electrifying. The performative aspect of its protest was inspiring and captured much of our deep-felt frustrations. But four years later, little progress on the issue, the strains of academic life, and anger over NRT’s disgusting display at my sorority’s Walk a Mile have dulled my fascination with the group. I am no less interested in the cause NRT is fighting, but at times it feels I have outgrown the attention-seeking element of student activism on campus. At Columbia, participation in protests is particularly attractive because of our long legacy of student activism. In 1968, the dramatic takeover of administrative buildings by students came to epitomize the power of student action, and it has since become part of the culture here to be vocal critics of the administration. This core value, in addition to the pressure of a stressful environment, and an often indifferent administration, means that student activism will always be a hallmark of student life here. However, the fact of the matter is that some people end up in activism for reasons that don’t always have to do with the cause itself. Activism has a potent allure of being a place where your voice is important and you are able to take a moral position, and thus be right. It creates highly charged environments in which something that angers you can impel you to action. But this anger does not always translate to real passion, and thus can fizzle in the face of a silent administration—and the fact that it is nearly impossible to quickly address and respond to all sides of a complex issue. At times, activism here becomes an exercise of petulance, where having a moral high ground is used to alienate and intimidate others. Also, the oversimplification of complex issues and the black-and-white framing of positions can prove frustrating and unattractive to people with moderate political views. Issues that warrant outrage become instead spaces for the performance of anger, which rarely results in lasting change. For example, the protesters at the CUCR event played right into the “snowflake” argument popular in some circles on the right and likely emboldened the group to continue to invite divisive speakers. It might have been more surprising and effective for entire activist groups to challenge Robinson’s ideas more directly in the Q&A, but that likely would not have caused as much of a stir. This sort of perverse self-gratification in activism is a cultural epidemic. It is easy to go on Facebook and see people participating in visibility campaigns, such as the Me Too movement, and then going on with their lives, feeling satisfied because something immediate and simple can be done. Protests and other means of making problems visible are important, but student activism has to take the next step. We need to evolve away from just searching for answers that are immediate and simple, or we are bound to fall into cycles of anger with little change to show for it. 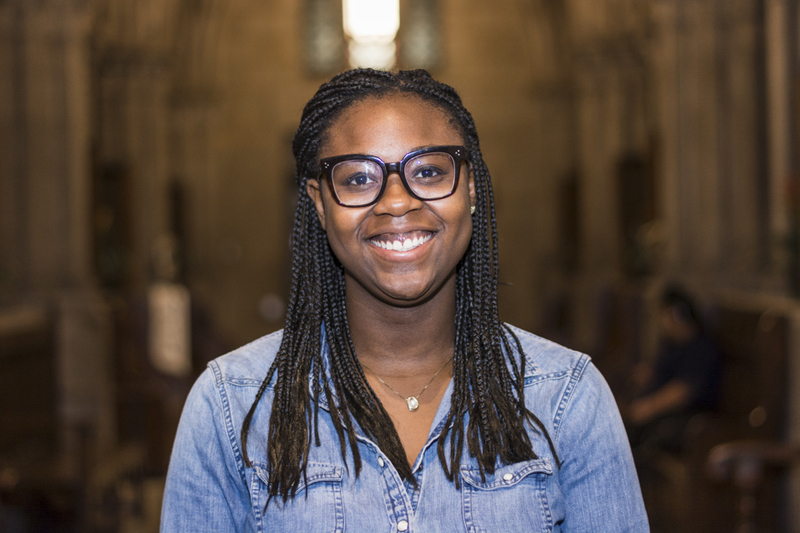 Ayo Osobamiro is a senior in Columbia College disappointing her parents by studying history and French literature. You can usually find her on campus schlepping various items for the student productions she works on, cracking cheesy jokes on her URC tours, or binge-watching reality TV in Butler. Protests are generally the avenues through which marginalized groups can make their voices heard over the control of authoritative institutions or systems. They can come in various forms and degrees, whether it’s small countries protesting against the militarized abuse from other countries, citizens protesting the disenfranchisement set in place by political officials, or students protesting issues that they feel are unjust on their campuses. Protests can be direct, like marches and rallies, or they can be more implicit, like writing an op-ed and donating money to a cause. The one thing that all protests share in common is that they are responses to specific acts done by those in positions of power. And I think that is why activism on college campuses can seem sporadic and brief. Students often respond viscerally to matters that concern their lives or well-being, such as the repeal of DACA or racism on campus. To discredit their emotions as whiny or unruly would strip them of what it means to be human. Fight or flight is literally built into our biology—we are predisposed to engage when we feel threatened, and often these visceral responses translate into protests. And because college campuses can be very diverse, these emotions and objections are aimed at a myriad of problems. As someone who has attended many protests throughout my time at Columbia, I have noticed two things: Protests are usually either the beginning or the end of a movement, and they can also be a form of celebration for distinct identities. Amid the chanting and signs, onlookers might not see the tangible changes that protesters do outside of demonstrations. While at an event supporting and celebrating Black women and femmes, I heard and saw students reaching out and asking each other how they could help marginalized Black women and femme non-binary students on and off campus. Those same people volunteer with me at schools in Harlem to ensure that young Black girls and femmes know that they have a support system that wants to see them succeed. At a protest concerning the lives of undocumented students at Columbia, I heard people next to me calling their representatives asking them to work on legislation that would provide for undocumented immigrants in their respective states. They also shared links and offered to pay for students to have their renewed DACA forms mailed to the government. Protests and demonstrations are never a one-time event; they raise awareness about issues that are often being ignored, and galvanize individuals to do what they can to help those in need. Now I do agree that students on campus would benefit from acknowledging the shared goals of our protests and dealing with intersectional issues such as gender, race, and disability access together. In previous years, Columbia students have come together to amass large protests across the entire campus, protesting the Vietnam War, apartheid divestment, divestment from private prisons, and recently the die-in against police brutality in 2014. All of these protests touched on the intersections of alienated groups and brought the student body together to discuss issues that affect students on campus and in the global sphere. These protests were so impactful because they managed to drive a large majority of the Columbia undergraduate and graduate populations into action, not just performative—but largely unhelpful—Facebook solidarity. If the student body could manage to mobilize in great numbers like it did in the past, I think protests today could affect change much more quickly and on a larger scale. Just because our campus has changed its focus does not mean the activism behind old protests has lost its impact. While protests might seem like responses to individual moments of injustice, they are just the beginning of ongoing activism and larger movements that fight for and recognize that causes can affect the intersections of multiple identities. Elise Fuller is a junior in Columbia College majoring in Anthropology. 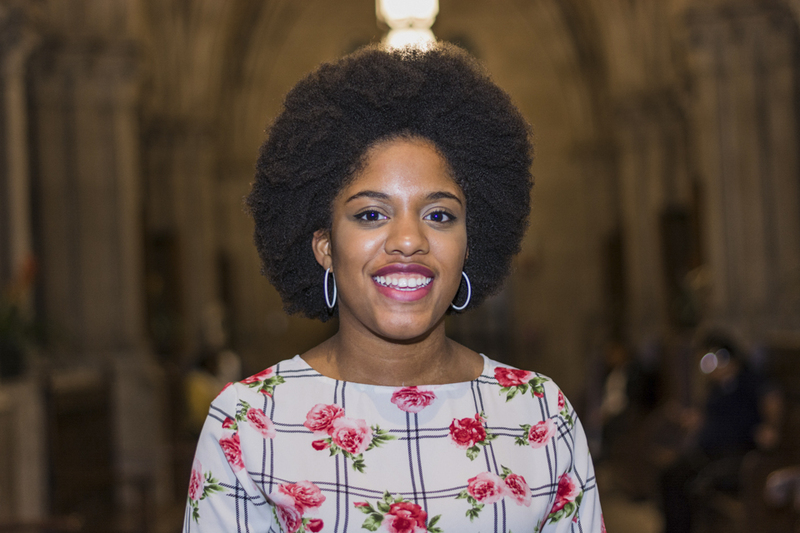 She serves as the inclusion and equity representative for CCSC and the campus liaison for BSO. You can always find her in Café East discussing the nuances and diversity of bubble tea flavors. I cannot begin to comprehend the multitudinous sociological factors that produce the ostensible caprice in Columbia activism, nor am I an “activist” with immediate experience on the subject. However, my external observation has led me to at least two factors which seem to contribute to the perpetual shift in the cause du jour. I will refrain from imparting any judgement as to what is necessarily effective or just. I see college as a four-year-long indulgence of the self. Nevertheless, it is a necessary one; equipping students with the skills they need to make a difference after graduation requires a great deal of education. Therefore, the students that do manage to put aside time for altruistic activism deserve recognition. However, when students see a noble cause and try to join, but eventually break away, it is not for want of passion or magnanimity. While the impulse to rally for a cause starts out strong, students ultimately hoping for self-improvement might find themselves intellectually unfulfilled by joining activist protests. Whereas a student would certainly sharpen transferrable writing skills by composing an op-ed, or exercise rhetorical strategies by engaging in a debate, the typical protest often reduces the role of an aspiring activist to that of a warm and loud body. That is, from the student’s perspective, attending protests fosters few cerebral capacities, rarely requiring much beyond the chanting of an idea reduced to banality—“hey hey, ho ho, [something] has got to go”—and the production of cardboard non sequiturs. Obviously, there is quite a bit more to activism than protest. Surely, those who maintain the websites, draft the lists of demands, and communicate with the administration demonstrate real dedication. But for the activist dilettante—the infantry—protest seems to be the most accessible way to get involved. It is the shift of these dissatisfied foot soldiers that we perceive as caprice, even as the spiritual and organizational core of a cause may remain steadfast. That students, initially excited by the possibility of making an impact, sooner or later lose enthusiasm as they lose themselves in a raucous crowd should come as no surprise, then—at least until the next cause piques their interest, thus renewing the cycle. In similar fashion, orthodox intersectionalists see feminism as inextricable from the fight for Palestinian liberation—but this precludes a whole swath of support. Whereas activists once relied on a coalition that, while not unanimous on everything, could unite for one specific cause, activist leaders now demand that supporters relinquish any nuanced opinion of their own—they must “stand with” marginalized groups on virtually every issue, irrespective of any practical relatedness. On these points, to thwart potential recruits to one’s cause, I see nothing better than a strict adherence to allyship and intersectionality. Having been spurned, the recruits lob on to a new cause, in hopes of maintaining intellectual sovereignty this time around. But, in the name of progressive principles, so much is again asked of them. Wash, rinse, repeat. Joseph Siegel is a sophomore in Columbia College studying philosophy and economics. He will gladly argue with anyone at anytime about anything, including hand dryers, improper use of automatic doors, and seat belt laws. 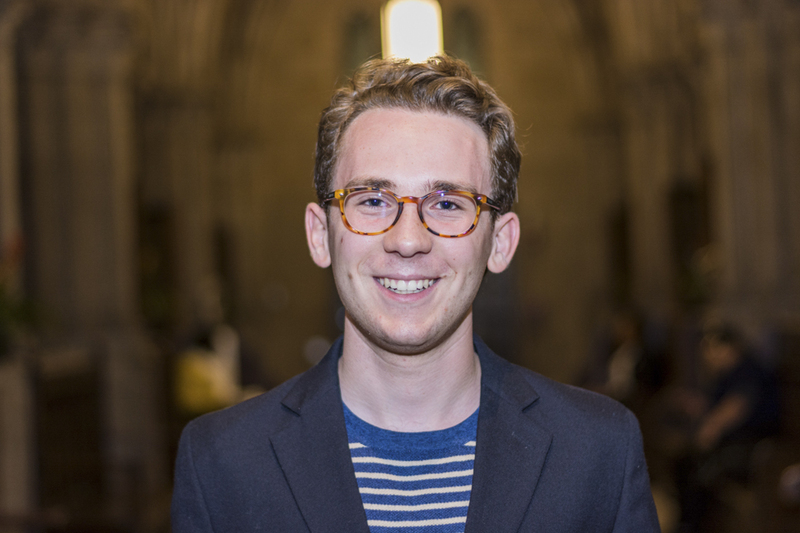 Joseph serves on the board of Columbia Political Union and resides in Jazz House. Campus activism can be accused of many things—inconsistency is not one of them. Yes, on the surface, Columbia’s activist community undergoes much change, but the internal direction and ambition of our activism has remained remarkably consistent. An analogy to a topic in metaphysics may prove useful in understanding my assertion regarding the unitary nature of Columbia’s activism. Persistence through time constitutes a knotty problem in contemporary analytic philosophy. How is Benjamin the baby the same person as Benjamin the Spec columnist? These two estimable individuals appear to share very few characteristics. It would seem foolhardy to assert an identity relation between two objects that are clearly different. Yet theorists suggest that we ought to view objects as extending through time as well as space. Take a human being, for example. Spatially, I am composed of a variety of parts—my nose, my legs, my torso—and all these parts display differing features, but they are all clearly extensions of my body. Temporally, I am composed of “Benjamin at the age of two” and “Benjamin at the age of 22.” They are vastly different creatures, no doubt, but both are merely extensions of what metaphysicians have bizarrely termed“ the space-time worm”—namely, Benjamin the person as extended throughout time and space. Campus activism is of a similar nature. Though it takes different shapes at different times, each particular instance of activism actually constitutes a fragmented element of a single unity (i.e., a space-time worm). Why is it important to have this correct conception of activism on campus? The committed activist is an unrepentant generalist. Not for her are the constricting confines of a single issue; eschewing the arbitrary boundaries set up between various political causes, she divines the necessity to combine them all into one convenient implement. She is the Swiss army advocate. Many students fail to recognize that activism is not solely a selfish pursuit, constituting little more than a banal means of self-expression. A metaphysics of activism which acknowledges the unity of a multiplicity of causes and forces its advocates to address concerns far removed from their own, handily quashes the accusation leveled at activists that their behavior is mere self-indulgence. 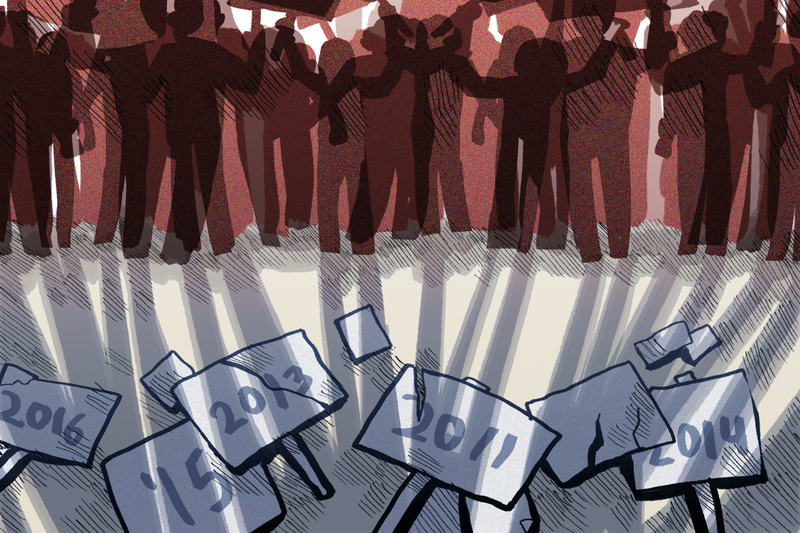 Does campus activism evolve from year to year? Sure, just like any human would as well. This fact does not demonstrate that activism at Columbia is not unified and mutually beneficial. My decision to take astronomy one semester and Intro to African Dance the next does not undermine my overall goal to become a more well-rounded person. Neither does the activist community’s shift in interest from private prisons to fossil fuels. Indeed, this protean disposition serves as the best way to convey to the University and its students the indissolubly interconnected nature of these various injustices. 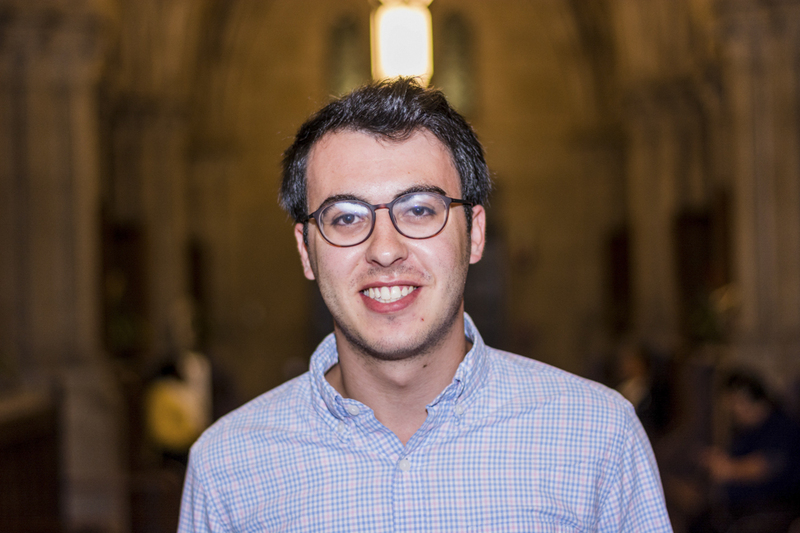 Benjamin Apfel is a senior studying philosophy at Columbia College. Before arriving at Columbia, he spent a year in an ultra-Orthodox seminary in Jerusalem where he studied talmudic texts in Yiddish.